Recent research says only 1 in 4 house buyers would choose a house built in the last 10 years. Flexibility with the family over time. The Spanish market is no different, quality living accommodation, flexible space and storage are key things that buyers are looking for. Traditionally in Spain especially on the Costa’s older houses lack lots of light, instead choosing smaller windows to keep the house cool in the long hot summers, but now you can have both. Cool summer living and light bright winter sun pouring in to continually remind you of why you chose this life. So much of what is on the market at the moment is samey but there has never been a better time to have a house designed and built to suite your life style. Whether it’s a holiday home with a difference that has that wow factor to rent or a winter /summer retreat to enjoy outside and indoor living making the best of the elements and putting that smile on your face every day when you wake up to your perfect home . Danny James of Z Sanchez has been building homes on the Costa Blanca for over 40 years and has seen the trend switching to his modern Ibiza Style houses. 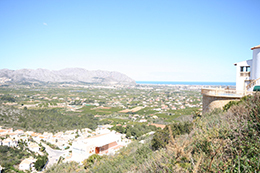 Talking to Estate agents on the Costa Blanca property sales are starting to move again, even thou the summer rental market has never been better. There are many traditional houses still for sale but with the trend changing to modern houses it’s the perfect home to build that new house both as somewhere to enjoy but a great investment. 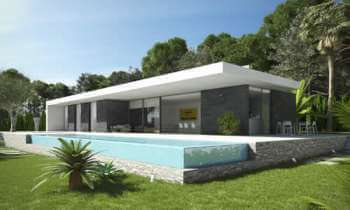 Z Sanchez have a range of new house designs called their “ Ibiza Style “Range – prices start as low as €180,000. 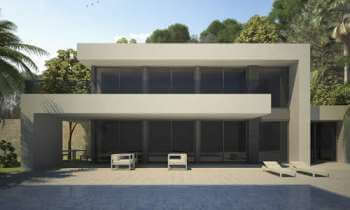 The pictures featured our houses built in the Denia area by Z Sanchez.